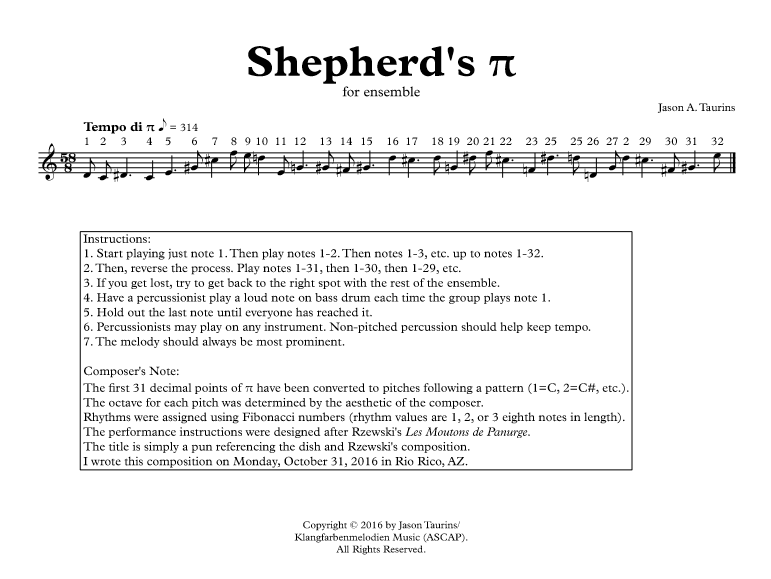 This entry was posted in Chamber Music and tagged 314, chamber, composition, dad joke, ensemble, fibonacci, free, π, jason, les moutons, les moutons de panurge, math, minimalism, minimalist, music, pdf, pi, pumpkin, pumpkin pi, pumpkin pie, pun, rzewski, score, shepherd's pie, taurins, tempo di π, tempo di pi on 10/31/2016 by jasontaurins. I am trying something new and starting a commission consortium for a new band piece. The buy in is as little as $10, so check out the link for more information! This entry was posted in Uncategorized on 10/20/2016 by jasontaurins.